Early arrival to Moscow. Meet and greet at the airport . Breakfast at the Local Coffee Shop, City Sightseeingof Moscow by bus: Red Square walk, St.Basil (outside) Alexander Garden Walk, Manezh Square . Lunch at local restaurant (Hodja Nasreddin) or sim . Arrival to the hotel. Check-in . Rest at hotel . Dinner at hotel. 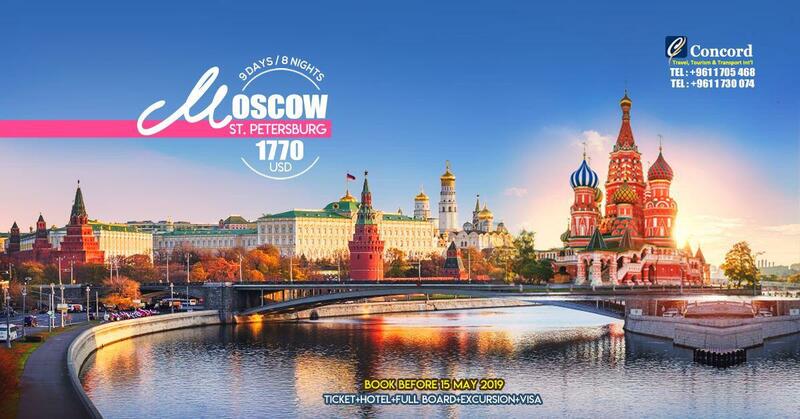 Breakfast at the hotel , Pick up at the hotel , Visit to Novodevichy Convent , Lunch at local restaurant “Godunov” or sim , Visit to Tretyakov Gallery , Visit of St. Saviour Cathedral , Departure to hotel Cosmos . Dinner at hotel Cosmos , Folk Show Kostroma at hotel Cosmos , Return to the hotel. Breakfast at the hotel , Pick up at the hotel , Visit to Sergiev Posad . Lunch , Departure to Moscow , Return to the hotel - Dinner at hotel	. 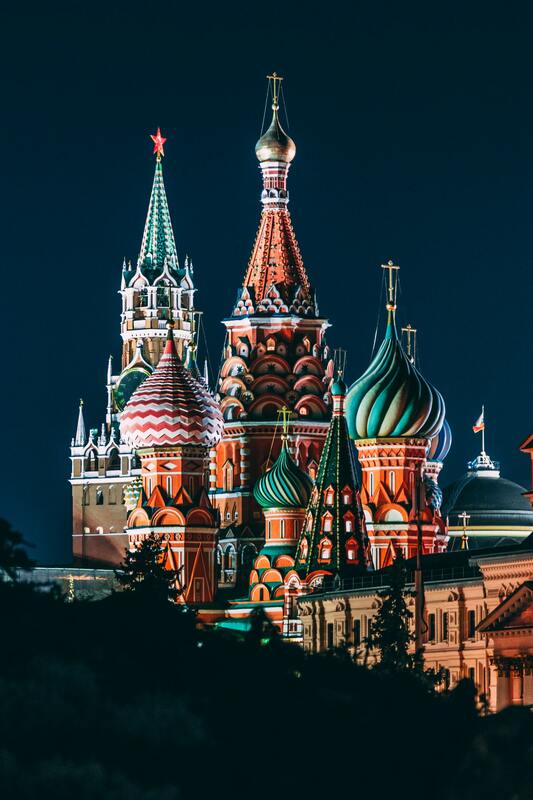 Breakfast at the hotel , Pick up at the hotel , Visit Kremlin grounds incl. Cathedrals and ArmoryMuseum , Visit Zaryadye Park and Ice Cave , Lunch at local restaurant , Leisure time, Dinner at hotel . Breakfast at the hotel , Pick up at the hotel , Metro tour and River Cruise . Breakfast at the hotel. Check out , Transfer to the Airport , Departure to St. Petersburg Bus & guide for transfer , Arrival to St. Peters burg . Departure to former tsars’ residence Pushkin and Catherine Palace , Lunch in local restaurant , Visit to Pushkin , Transfer to the hotel. Check in - Dinner at hotel . Breakfast at the hotel , Pick up at the hotel , Visit PETERHOF incl. Grand palace & Lower park , Lunch , Departure to St. Petersburg by hydrofoil , Visit the Hermitage , Dinner at hotel , St. Petersburg by night . 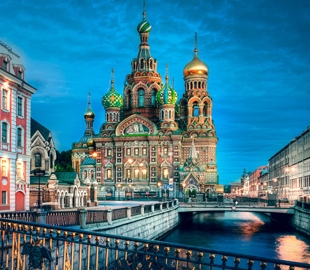 Breakfast at the hotel , Pick up at the hotel , St. Petersburg guided sightseeing tour incl. : Visit to Peter & Paul’s Fortress - Visit to St. Isaac’sCathedral , Lunch , Visit to Yusoupov Palace , Boat trip along rivers and canals , Return to the hotel - Dinner at hotel. Breakfast at the hotel - Check out Time for Shopping , Transfer to the airport- Pulkovo 1 , Departure to Moscow .